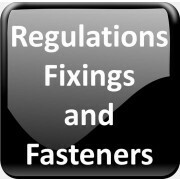 There is an opportunity at fastenerdata for commission based agents to sell advertising space on the fastenerdata website to fastener companies outside the UK. This opportunity would appeal to someone with fastener market experience who want to work on either a full or part time bases. mark your email 'Advertising Sales Agent'.